Northbound on Maine St in downtown Brunswick. 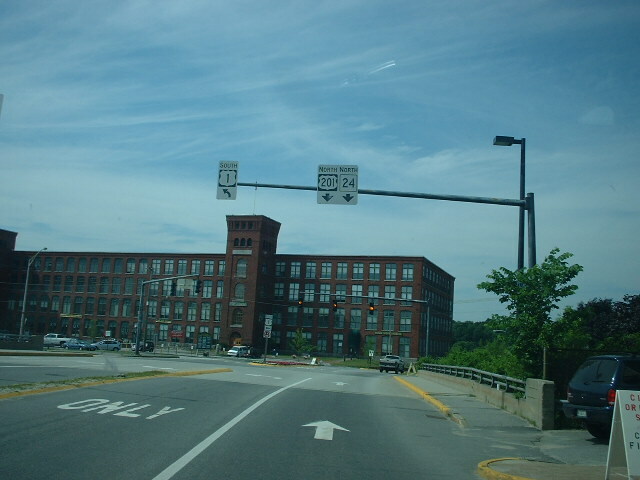 The bridge in the photo is the Maine St overpass over US 1. US 201 begins here while duplexed with ME 24. Photo by Doug Kerr, taken June 28, 2003. 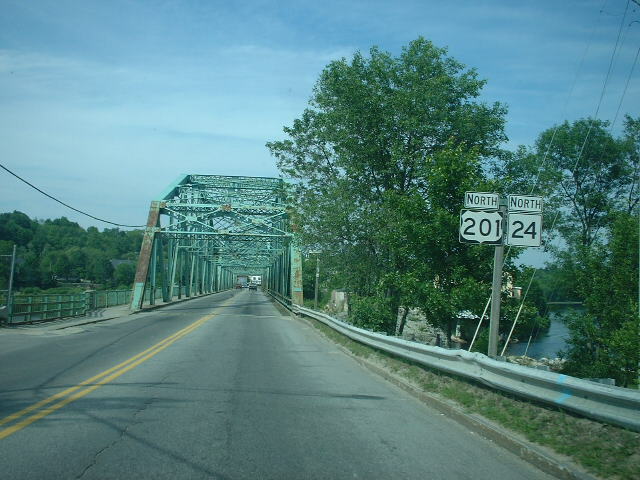 Just north of US 1 is US 201's first reassurance shield, right before crossing the Androscoggin River. Photo by Doug Kerr, taken June 28, 2003. 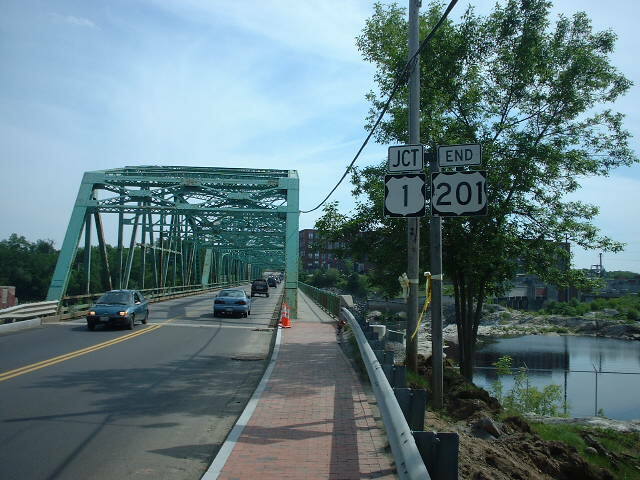 END signage exists on the other side of the Androscoggin River, looking south. Photo by Doug Kerr, taken June 28, 2003.